Have you ever been using an app with keyboard shortcuts that didn’t make sense? And the app didn’t allow you to change the keyboard shortcut to something more reasonable? Well, it turns out that Mac OS X allows you to override app keyboard shortcuts and create your own. Here’s an example. The hotkey for cycling conversations in Skype troubles me. For some reason, the Skype folks decided the hotkey should be Command + Option + Right Arrow, quite different from the typical way you change tabs: Command + Shift + ]. Let’s change this action to follow suit. 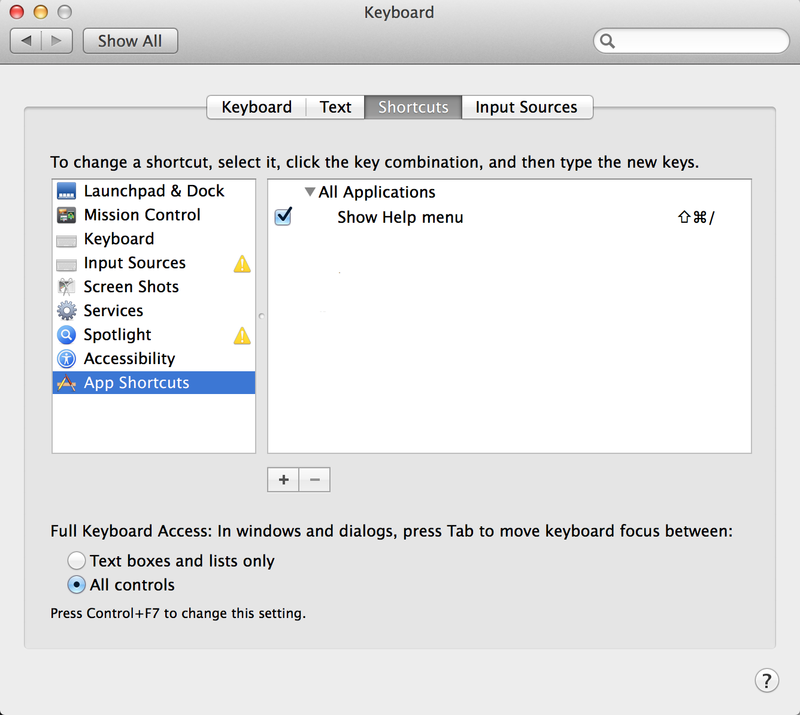 1) Open System Preferences -> Keyboard -> Shortcuts -> App Shortcuts. 2) Open your desired app (in this case, Skype), click on the menu bar, and find the action (in this case, Window -> Next Conversation). Note its exact name – “Next Conversation”. 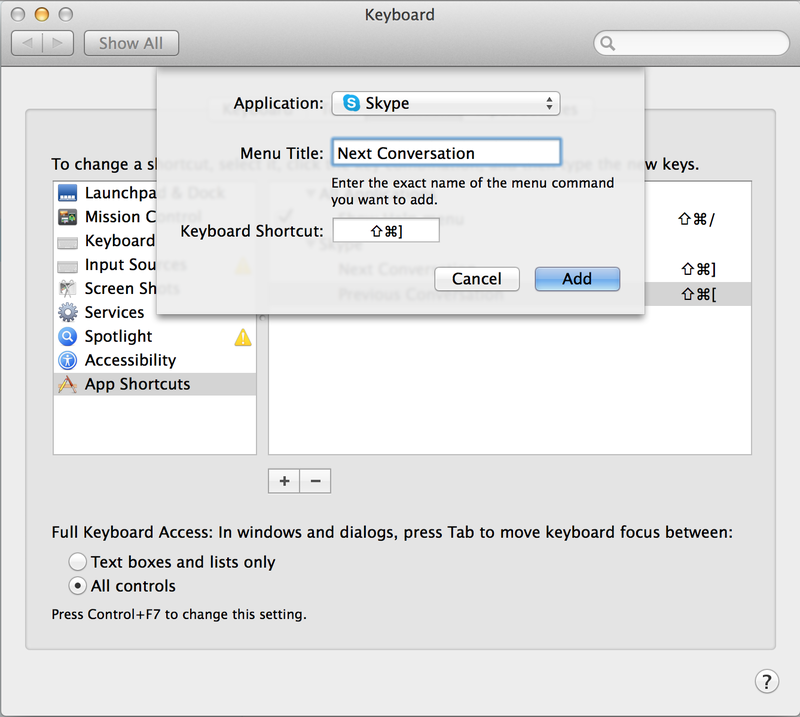 3) Go back to the App Shortcuts, click the + sign, select Skype, type “Next Conversation” for Menu Title, then click Keyboard Shortcut, and enter your desired hotkey.